For the better use of all the functions of this product, please carefully read the operation notes and detailed functional instructions before your first use of this product. If you have any problems with using this product, please contact our local agent or visit our official website at www.voopoo.com . Press the button on the top cap, and the top cap will pop out automatically. Then add e-liquid through the filling slot. After filling, push the top cap back. a). 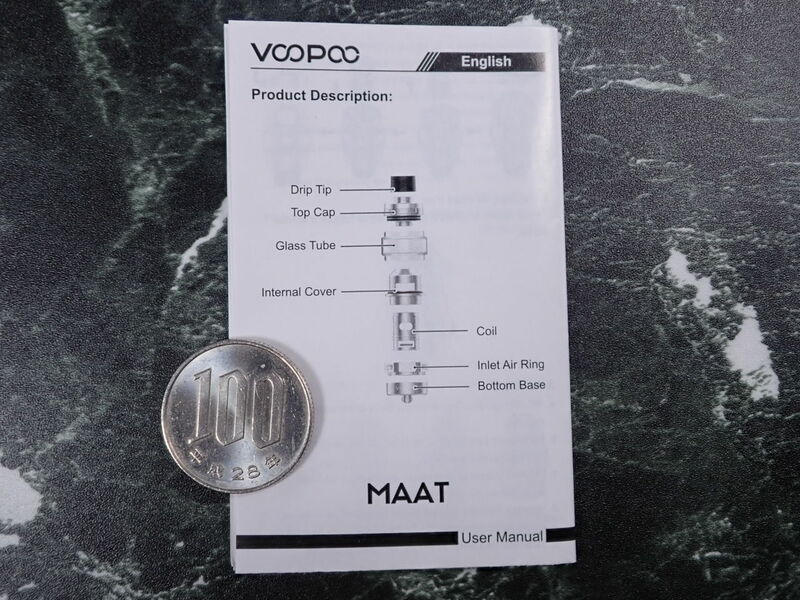 Using a new tank, it is recommended to keep the tank still for about five to eight minutes after adding e-liquid so that the coil can be fully saturated before vaping. b). 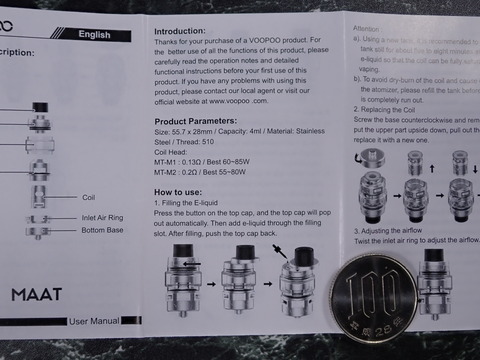 To avoid dry-burn of the coil and cause damage to the atomizer, please refill the tank before the e-liquid is completely run out. Screw the base counterclockwise and remove it. 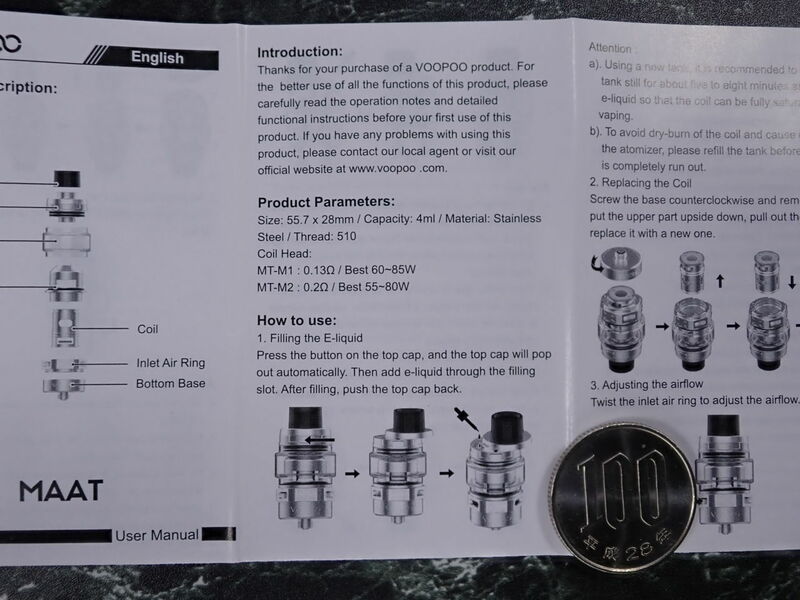 Then put the upper part upside down, pull out the coil and replace it with a new one. Twist the inlet air ring to adjst the airflow. a. Please keep device away from heat, fire and water. b. 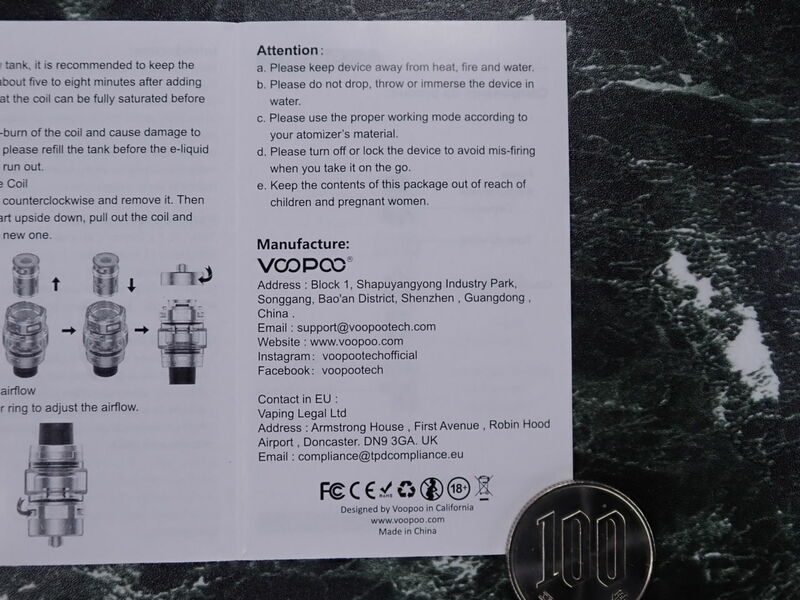 Please do not drop, throw or immerse the device in water. 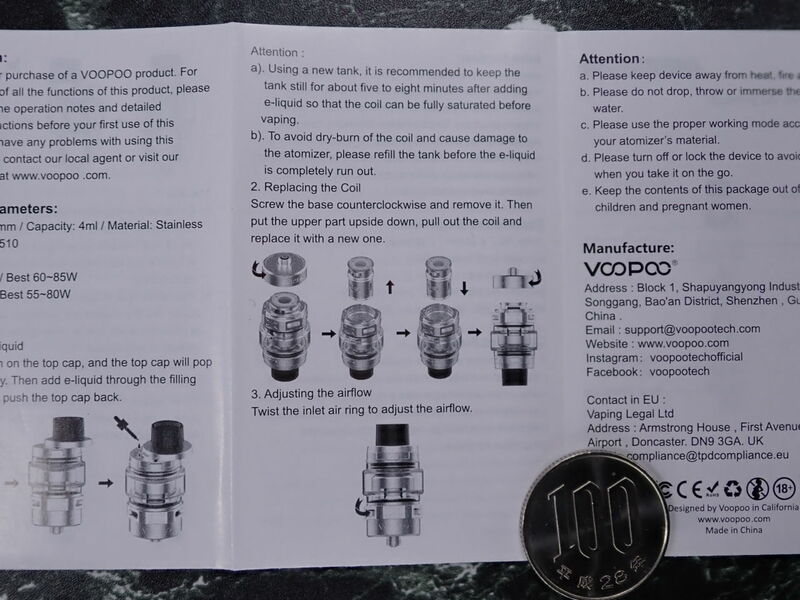 c. Please use the proper working mode according to your atomizer's material. d. Please turn off or lock the device to avoid mis-firing when you take it on the go. e. Keep the contents of this package out of reach of children and pregnant woman.